I’ve sat down with a friend with some publishing experience and we’re putting together a company to release some of the many ideas that keep flowing from my head onto this blog as actual printed content that you can buy. The goal is to produce RPG products using the OGL and the Labyrinth Lord license primarily (everything will be released under the OGL, but the majority of our efforts will be towards Labyrinth Lord compatible products). We’re not in a hurry, as we want to have more than one product ready to launch when the company does – with current ambition being to launch at the end of October of this year with an adventure or two and a sourcebook in the first month or two and then another book every 3 months or so – not a grueling release schedule but something we both think we can maintain. We’ll be putting together a website and all the other typical crap that goes with a company and product launch, and there’s the off-chance that this whole blog might move to a self-hosted wordpress installation over there. In the meantime, ZERO/Barrier will become the publisher of Dyson’s Dodecahedron (which will remain a free download) and we’ll be updating the existing issues to be OGL and Labyrinth Lord License compliant. I’m a big fan of the OGL, but haven’t gotten around to actually releasing my material (except for Geodesic Gnomes) under said license. 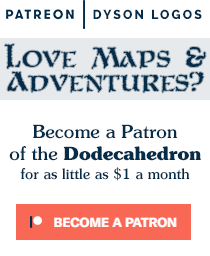 And maybe we’ll actually get the April issue of the Dodecahedron out in early May. Excellent, good luck with it all ! Great news! I look forward to seeing your products hit the shelves. Dyson, we did it! Congratulations! I have an award for you!! This is great news! Congratulations!! !